The David and Barbara Pryor Center for Arkansas Oral and Visual History in the J. William Fulbright College of Arts and Sciences continues its Pryor Center Presents lecture series at 6 p.m. Wednesday, Feb. 13, with "Invasive Pythons: Successes, Challenges, and the Future," featuring the Department of Biological Sciences' J.D. Willson. Invasive species are one of the primary threats to biodiversity, both here in the United States and across the globe. Among the myriad of invaders, few have captured the attention of scientists and the public more than Burmese pythons in the Florida Everglades. The Burmese python, one of the world's largest snake species and a longtime mainstay of the pet trade, has been introduced from its native range in South Asia and represents one of the few cases of an invasive apex predator invading a complex continental ecosystem. Since recognition of their establishment in Everglades National Park around the year 2000, pythons have expanded in range and have been linked to severe declines of a wide array of native mammals. Yet, many gaps exist in our understanding of the python invasion and an easy solution seems unlikely. In this talk, Willson will discuss his research on python biology in Florida, within the larger context of the invasion. He will highlight what we have learned from this unique situation, the challenges we have had to overcome, and the future of snakes as invasive species. Willson is an associate professor in the Department of Biological Sciences at the University of Arkansas. His research focuses on understanding factors that drive population and community dynamics of reptiles and amphibians within the context of pressing conservation issues such as habitat alteration, pollution, and invasive species. Willson received his B.S. from Davidson College and Ph.D. from the University of Georgia's Savannah River Ecology Lab. Current projects being conducted by J. D. and his students include studies of the influence of changing land use on reptile and amphibian communities in historic prairies and long-leaf pine savannahs, long-term studies of aquatic snake population dynamics, and research on the ecology of invasive Burmese pythons in South Florida. 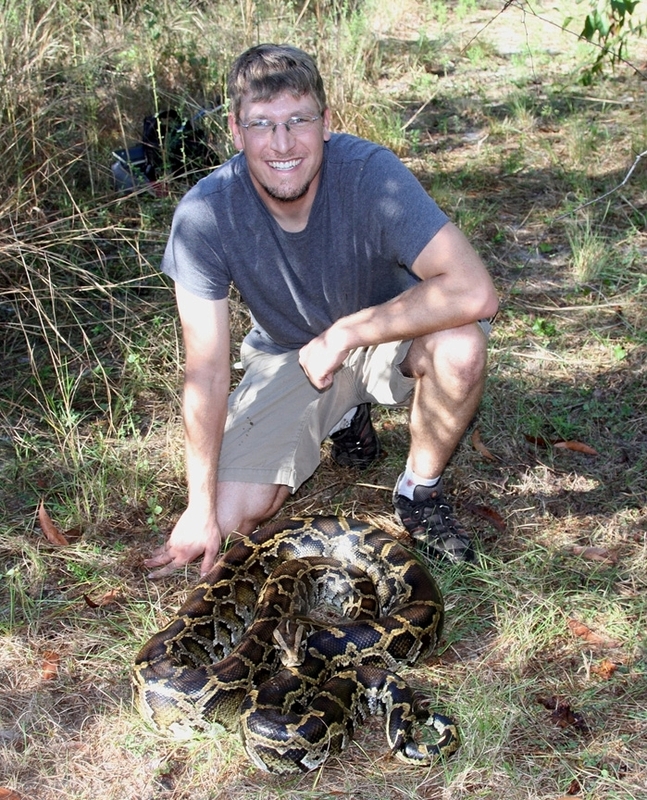 Willson has published over sixty scientific papers and book chapters and co-authored a popular book on invasive pythons in Florida. He currently serves as editor of snake natural history notes for the journal Herpetological Review. March 28 – Angie Maxwell – The Long Southern Strategy: How Chasing Voters in the White South Changed American Politics"
Maxwell is the director of the Diane Blair Center of Southern Politics and Society, an associate professor of political science, and holder of the Diane Blair Endowed Professorship in Southern Studies at the University of Arkansas. Yarza joined Fidel Castro's revolution in 1958 at the age of 19 and later became an economist and business advisor to his government. Yarza will talk about her views of the regime and how they have changed over the years. April 10 – Siva Vaidhyanathan – "Antisocial Media: How Facebook Disconnects People and Undermines Democracy"
Vaidhyanathan is the Robertson Professor of Media Studies and director of the Center for Media and Citizenship at the University of Virginia. The Pryor Center is located at 1 East Center Street, Suite 120, and parking is available on the Fayetteville Square. The events are free and open to the public. About the The David and Barbara Pryor Center for Arkansas Oral and Visual History:The David and Barbara Pryor Center for Arkansas Oral and Visual History is an oral history program with the mission to document the history of Arkansas through the collection of spoken memories and visual records, preserve the collection in perpetuity, and connect Arkansans and the world to the collection through the Internet, TV broadcasts, educational programs, and other means. The Pryor Center records audio and video interviews about Arkansas history and culture, collects other organizations' recordings, organizes these recordings into an archive, and provides public access to the archive, primarily through the website at http://pryorcenter.uark.edu. The Pryor Center is the state's only oral and visual history program with a statewide, seventy-five county mission to collect, preserve, and share audio and moving image recordings of Arkansas history. About the University of Arkansas:The University of Arkansas provides an internationally competitive education for undergraduate and graduate students in more than 200 academic programs. The university contributes new knowledge, economic development, basic and applied research, and creative activity while also providing service to academic and professional disciplines. The Carnegie Foundation classifies the University of Arkansas among only 2 percent of universities in America that have the highest level of research activity. U.S. News & World Reportranks the University of Arkansas among its top American public research universities. Founded in 1871, the University of Arkansas comprises 10 colleges and schools and maintains a low student-to-faculty ratio that promotes personal attention and close mentoring.